Take the U9 at “Zoologischer Garten” (“Bahnhof Zoo”) terminating at “Osloer Straße”. Leave the subway at “Turmstraße”. Take the exit “Alt-Moabit” (towards “BVG-Kundenzentrum”), turn right, and walk down the street “Alt Moabit” for ca. 150 m. Enter the first passageway on the right onto “Focus Teleport”. We are located in the 2nd building on the left. Use either line S5, S7, S75, or S9. Step off at Station “Bellevue”, go towards exit “Innenministerium” and cross the river on “Moabiter Brücke”. Turn left immediately after the bridge and follow the river. After crossing underneath a tower building turn right. 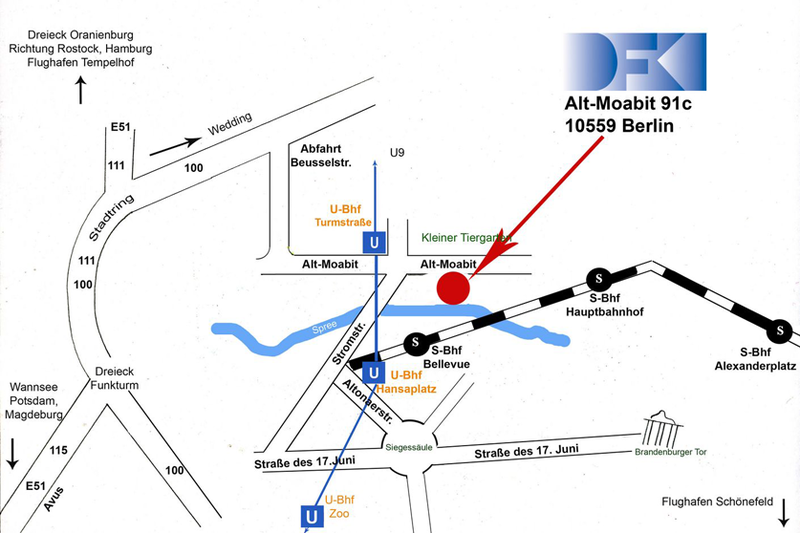 We are located in “Alt-Moabit 91c”, the office building before last on the right. 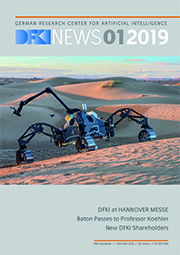 At “Hauptbahnhof” (Central Station), take the bus “TXL” towards “Flughafen Tegel / Tegel Airport” or bus “245” towards “S+U Zoologischer Garten”. Step off at “Kleiner Tiergarten”, situated in front of “Focus Teleport”. Walk back along the street a short distance and enter the 2nd passageway. We are located in the 2nd building on the left. From Tegel take the bus “TXL” to “Kleiner Tiergarten” (5 stops, approx. 15 min.). Walk back the street “Alt-Moabit” a short distance and enter the 2nd passageway. We are located in the 2nd building on the left.